Here’s an interesting article from the Lowell Sun Online. The Lowell Sun is in Lowell, MA. Yes, Ham Radio is a social network! CHELMSFORD — Andy Stewart and his friends could be considered revolutionary. “The jokes that I hear are that ham radio was the original social network,” he said. Stewart, 50, a ham radio enthusiast, belongs to the Police Amateur Radio Team of Westford, which is open to residents of surrounding towns. Like people who text, the ham radio community uses certain abbreviations and shortcuts, so even people who don’t speak English can communicate with one another. Stewart, who got his first license in January 2007, says he communicates for pleasure, speaking with people in other countries. – Read more By Marie Donovan, Sun Correspondent by clicking on the link below. The Dayton Hamvention ® — the largest gathering of radio amateurs in the US — is just around the corner, May 17-19. Held annually at the Hara Arena Conference and Exhibition Center in the Dayton suburb of Trotwood, Ohio, Hamvention is sponsored by the Dayton Amateur Radio Association (DARA). This year’s “ARRL Dayton Team” includes more than 100 people — volunteers, officials and Headquarters staff. The centerpiece of the ARRL’s participation isARRL EXPO 2013, a large exhibit area in Hara’s Ballarena Hall. First introduced in 2005, ARRL EXPO has become a popular mainstay at the event. “ARRL EXPO is a show-within-a-show, and the area will be filled with membership program representatives and exhibits that cover a variety of Amateur Radio topics and interest areas,” explained ARRL Marketing Manager Bob Inderbitzen, NQ1R, who also serves as the ARRL EXPO Coordinator. “The ARRL has put together dozens of exhibits, programs and activities to help represent the very best of our programs, services and information. There will be something for every ham at ARRL EXPO.” – Read more from the ARRL website, see below. via Get Ready for the 2013 ARRL EXPO at the Dayton Hamvention®. “Within minutes, cell phone systems became overloaded and making phone calls and text messages was difficult. Amateur Radio operators performed communication duties under duress and performed admirably. No Amateur Radio volunteers were injured on the course in this terrible act,” said Steve Schwarm, W3EVE, who is the Amateur Radio Course Communication Coordinator and associated with a consortium of clubs and groups known as Marathon Amateur Radio Communications (MARC). – Read more from the ARRL website by clicking the link below. 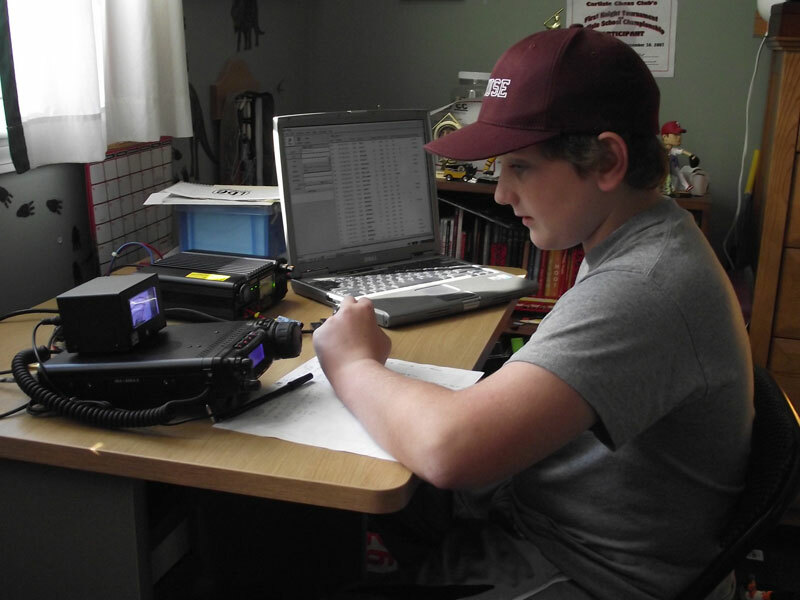 via Radio Amateurs Provide Communication Support in Boston Marathon Bombings. This year North Dakota and Nebraska will be holding their QSO Parties on the same date as the South Dakota QSO Party, so it should be a very fun time! Don’t worry about duplicating counties as others schedules may change. Here is a spreadsheet of those who have so far committed to working counties. Its only a guess how long we will be in a particular county as we all tend to stay longer if the bands are favorable. You can find the rules at the Dakota Territory DX and Contest Club Website. We change certificates every year to hopefully keep others outside SD interested in working us.. This year marks the 88th anniversary of the founding of the International Amateur Radio Union (IARU). To mark this occasion, the IARU and its more than 160 Member Societies will celebrate World Amateur Radio Day on April 18. For many years, the IARU Administrative Council has declared a theme for each World Amateur Radio Day. 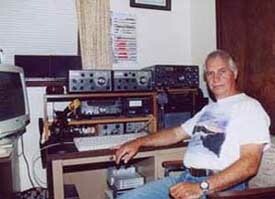 The theme for 2013 is Amateur Radio: Entering Its Second Century of Disaster Communications. via 2013 World Amateur Radio Day — April 18 — Celebrates 100 Years of Disaster Communications. The World’s Free Repeater Apps now available for iPhone and Android. The Free Repeater Directory App for USA, Canada, and Mexico. RepeaterBook enables you to easily find repeaters across the USA, Canada, and Mexico for free, and without a network connection. RepeaterBook mobile apps are powered by the popular community database of RepeaterBook.com and software of ZBM2.com. via RepeaterBook.com announces a new Repeater Directory app for the iPhone. SD QSO PARTY OBJECT : Stations outside South Dakota work as many South Dakota stations and counties as possible. Stations inside South Dakota work everyone. 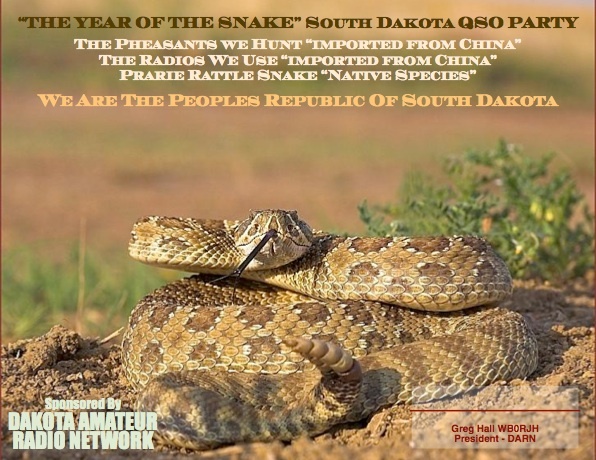 SD QSO PARTY EXCHANGE: Stations outside South Dakota send signal report and state, province, or DXCC country. South Dakota stations send signal report and county. MODE: Modes are phone, cw, and digital. (Any digital mode qualifies, ie: RTTY, PSK31, etc.) Stations may be worked only once per mode per band. QSO POINTS: Phone contacts are worth 2 points, CW and digital contacts are worth 4 points. MULTIPLIERS: Stations outside South Dakota multiply QSO points by total SD counties worked. Stations inside South Dakota multiply QSO points by SD counties+US States+ Provinces+DXCC entities. CLASSES: Fixed station, and Rover. Logs will be accepted for either mixed mode, phone only, and cw/digital only. Single band or all band. MAXIMUM POWER: High Power [greater than 150 watts], Low Power [150 watts or less] and QRP [5 watts maximum]. WORK STATIONS: Regardless of mode, work SD stations only once per band per mode per county. SCORE CALCULATION: Score= total QSO points X Multipliers. FREQUENCIES: 160,80,40,20,15,10,6 and 2 meters. No repeater contacts can be included in score. Suggested operating frequencies: 1815 and 40 kHz up on CW; 1845, 3855, 7180, 14255, 21355 and 28455 on SSB; 3580+, 7035+, 14070+, 21070+ on PSK; 3585+, 7038+, 14075+, 21075+ on RTTY. MOBILES: South Dakota Mobile (Rover) stations are considered a new contact each time they change counties. County line contacts count as multiple contacts for both stations provided each county contact is logged individually . SDQP@kd0s.com. Include station callsign in the subject line. Use your callsign as the cabrillo file name.